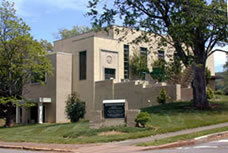 Congratulations to Congregation Beth HaTephila in Asheville, North Carolina, our newest Cool Congregation! Nominated by Richard Fireman, the Public Policy Coordinator of North Carolina IPL, Beth HaTephila is being honored for its comprehensive and longstanding commitment to creation care. The members of Congregation Beth HaTephila, a Reform congregation in the mountains of Western North Carolina, have an understanding of the call to care for creation that is rooted deeply within the Jewish tradition. Idelle Packer, a member of Beth HaTephila’s Social Justice Committee, explains that for Jews, ” the environmental crisis is a religious challenge.” For example, the tenants of tikkun olam, a Hebrew phrase that means, “repairing the world,” include a responsibility to take care of the earth. Other Jewish values stress the danger of waste and the importance of preserving what we have been given for future generations. While the congregation has always been concerned with creation care, it was only recently that this issue became the main concern of the Social Justice Committee at Beth HaTephila. Before, the committee was working on issues ranging from conflict in Darfur to economic justice, but they began to wonder how effectively they engaged members of their community. So the committee took the advice of the Religious Action Center, the social justice arm of Reform Judaism, and decided to refine their approach by building an organizational structure based upon the interests of their congregants. Six months later, the members of the Social Justice Committee had conducted a total of 55 one-on-one interviews with a diverse selection of the congregation’s members. The results from these interviews indicated that members of the congregation not only share a concern for the environment; they also share a common expertise on the topic that makes creation care an ideal focus for the congregation. In response to these results, the Social Justice Committee at Beth HaTephila formulated a new action plan called “Preserving Our Planet.” The committee formed working groups that began planning around what developed into the four foci of the initiative: Energy, Recycling, Transportation, and Agriculture. Each working group approaches creation care from a unique angle, which allows Beth HaTephila to address the issue comprehensively. For example, the agriculture committee connects congregants to a Community Supported Agriculture program that allows congregants to purchase produce from local farmers. Congratulations again to the members of Congregation Beth HaTephila and the Social Justice Committee, whose comprehensive Preserving Our Planet initiative has earned Congregation Beth HaTephila the title of a Cool Congregation!